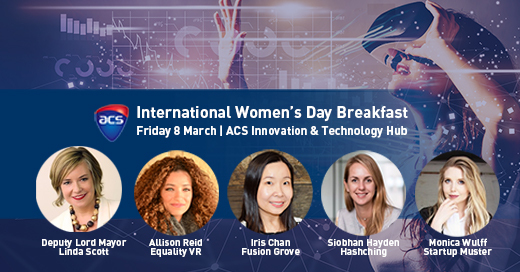 ACS - Australia's professional association for the ICT sector - sees International Women's Day as an opportunity to address gender diversity and help drive change through visibility and awareness of women’s issues. This year, ACS NSW is proud to host four dynamic women who will share their experiences and insights on working in start-ups at this premium breakfast event. Join a rockstar lineup of ICT Talent, introduced by Deputy Lord Mayor of Sydney, Linda Scott. Join ACS NSW and your ICT colleagues at this networking event on Friday 8 March.